Get ready for St. Patrick’s Day with these delectable green cupcakes topped with yummy cream cheese frosting. In a large bowl, whisk together eggs, oil, buttermilk, vinegar, and vanilla. Then stir in food coloring. In a separate bowl, whisk together flour, sugar, cocoa powder, salt, and baking soda. Slowly whisk in the dry ingredients to the egg mixture until completely combined. Pour batter evenly into cupcake liners. Bake for about 25-30 minutes, or until a toothpick inserted comes out clean. After about 10 minutes, remove from pans and cool completely on a wire rack. 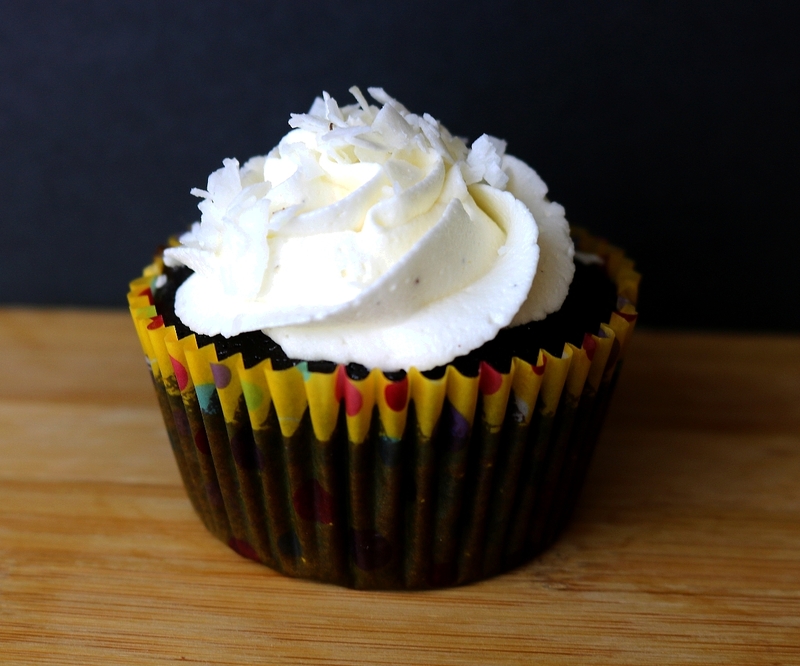 This cream cheese frosting is easy to make and tastes different from vanilla buttercream. As cream cheese is softer than butter, you might want to take it out of the refrigerator a few minutes before making the frosting – especially if the weather and/or your kitchen is quite warm. Beat softened butter and cream cheese on medium speed for about 3-4 minutes until completely smooth and creamy. Add the confectioners’ sugar, cream, and vanilla with the mixer running. Increase to high speed and beat for 1 minute. Add the lemon juice and beat until thick and creamy. This Spicy Cinnamon + Chile Brownies recipe is suitable for any occasion. 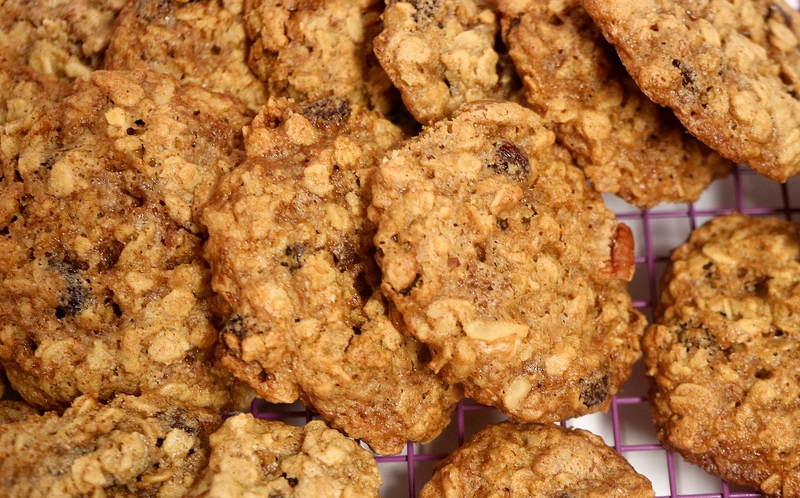 For those of you who love sweet and spicy desserts, this is the recipe for you. Grease your pan with either cooking spray or butter. 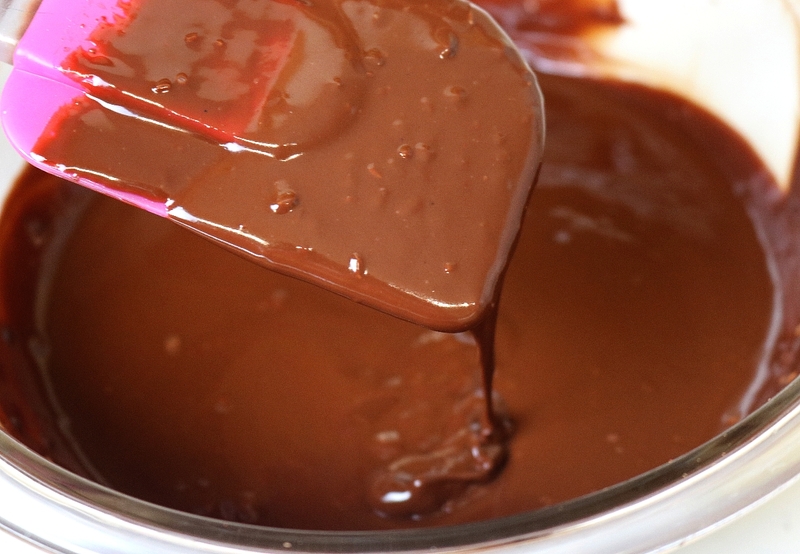 Melt butter and chocolate in a glass or stainless steel bowl over a pan. Temperature should be medium low heat. When melted, add the chile, cinnamon, and salt. Remove from heat and allow to cool down for several minutes. In a large bowl, whisk butter and sugar until combined. Add the first egg, mix in well, then add the second egg and mix well, and add the third egg, mixing well. Stir in the melted chocolate mixture. Add vanilla. With a spatula, gently fold in the premixed and sifted cocoa powder and flour. Pour mixture into pan and bake for 35-40 minutes. Rotate midway through baking. Brownies will be done when they start to pull away from the sides of the pan and a toothpick inserted in the center of the brownies comes out with some wet crumbs. Remove from oven and place on a wire rack to cool. Let the brownies cool completely. Cut into squares. You can serve as is or sprinkle brownies with powdered sugar. TIP: Sift the flour and cocoa powder together first. Presifted flour also makes your brownies a bit smoother and easier to mix. 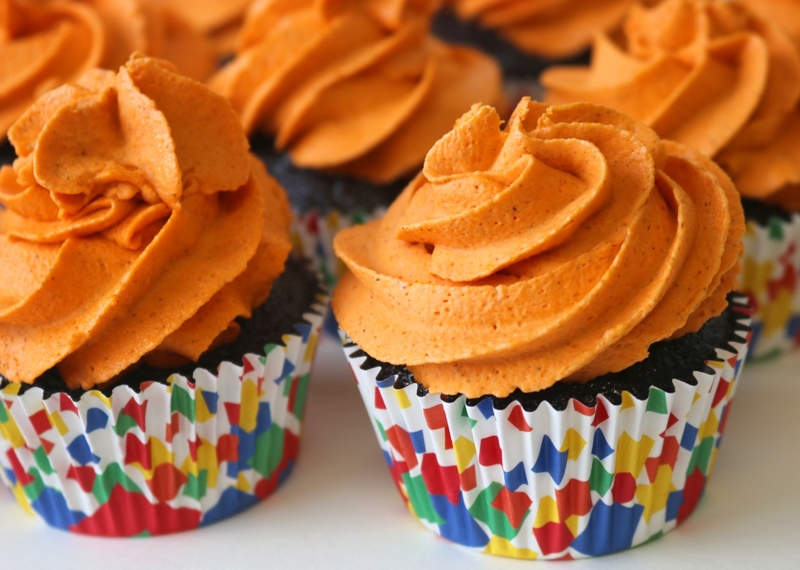 This recipe is from the book BAKING CHOCOLATE CUPCAKES AND BROWNIES: A BEGINNER’S GUIDE. Available in eBook and paperback formats. Win free books or Amazon gift cards! Here it is, a scrumptious fudgy brownie recipe that’s loaded with minty flavor and LOADS of walnuts. It’s easy to make, you don’t need a mixer, and it’s a wonderful dessert. Preheat oven to 325 degrees Fahrenheit [165 degrees Celsius] and place the rack in the center of the oven. The 8 or 9 inch square baking pan can be buttered [use the butter wrapper] or sprayed with a non stick cooking spray. In a glass or stainless steel bowl, placed over a saucepan of simmering water, melt the butter and chocolate. Remove from heat and whisk in the bowl containing the sugar. Pour in the vanilla extract. Add the eggs, one at a time, beating well after each addition. The batter will be smooth. Stir in the premixed and sifted cocoa powder and flour. Add the peppermint extract or essential oil. Lastly, add half the chopped walnuts. Pour the brownie batter evenly into the prepared pan. Add the rest of the walnuts on top. Bake for about 35-40 minutes. Rotate pan midway through baking. The brownies will be done when they start to pull away from the sides of the pan and a toothpick inserted in the center of the brownies will come out with a few wet crumbs. Remove from oven and place on a wire rack to cool. I suggest sifting the flour and cocoa powder together first. Presifted flour also makes your brownies a bit smoother and easier to mix. This recipe is from my book Baking Chocolate Cupcakes and Brownies: A Beginner’s Guide. From the book THE GREAT BROWNIE TASTE-OFF (THE YOLANDA’S YUMMERY SERIES, BOOK 1). I haven’t made these brownies in a couple of years, so when I followed the recipe, I rediscovered the joy of a very rich and decadent buttery brownie. I took a lot of photos of the process and have turned them into a cool video that shows you the various steps. Even if you’ve only made brownies from a mix, this is an easy recipe to make. Here are some tips to make your buttery brownies taste even better! ♥ Your butter should be a good quality and unsalted is recommended. For the record, I used Plugra. ♥ Use eggs from chickens that are free to roam around, as they taste better. ♥ I used an 8″ x 8″ glass baking dish. You can use a 9″ x 9″ glass or metal baking dish if you prefer but the brownies will be slightly flatter. Instead of using cooking spray, just use the butter wrapper to grease your baking dish. In a large bowl, beat butter and sugar until combined. Add an egg, mix in well, then add the second egg and mix well. Stir in melted chocolate and vanilla. Gently fold in flour, until combined. Pour mixture into pan and bake for 25 minutes, or until a toothpick inserted in the center comes out clean. Let the brownies cool completely. Cut into squares. Enjoy. You can get a copy of THE GREAT BROWNIE TASTE-OFF (THE YOLANDA’S YUMMERY SERIES, BOOK 1). Best of all, the eBook version is FREE! My quest for baking the perfect chocolate macaron continued. They needed to have feet but also be smooth and shiny. By adding less cocoa powder, my second bath was easier to mix. The egg whites “aged” overnight, about 12 hours. But I slightly underwhipped them, which was a first. After the macaronnage, I added the batter to the piping bag and closed the top with a rubber band to avoid spillage. It worked, although by the time I piped the last shell, the remaining batter was threatening to ooze out of the top. The macarons didn’t set up right away – I had to wait about 30 minutes. Later, I realized that both trays should have rested for at least 45 minutes. This time, the oven temperature was lower, 300 degrees. I’e since learned that chocolate needs to bake around 350 degrees. Also, the baking time should’ve been longer. One tray was in the oven for 19 minutes and the other 20. Afterwards, I realized they could’ve baked another two minutes longer in both cases because I wasn’t able to easily remove them from the parchment paper. 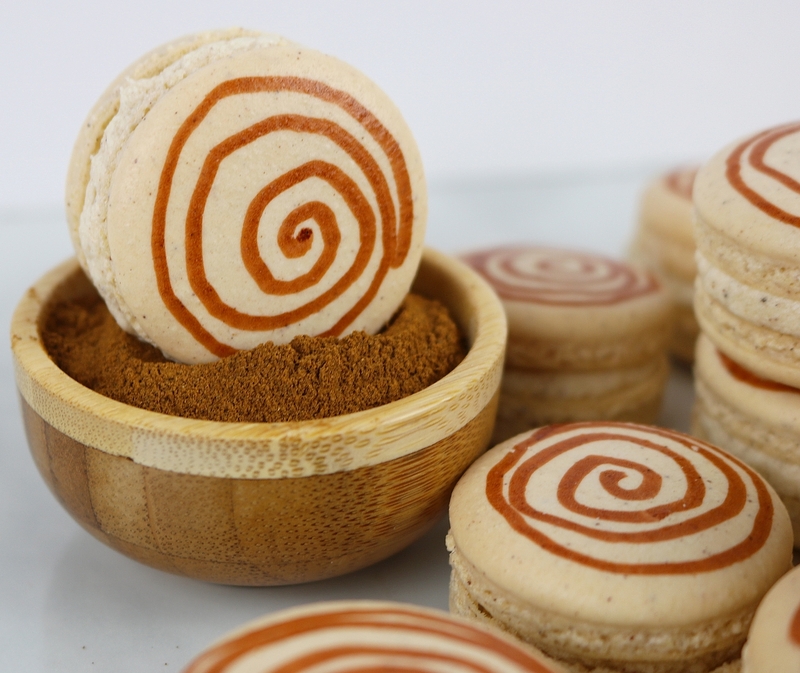 However, using 20/20 hindsight, chocolate macarons should bake for about 12 – 14 minutes at 350 degrees. While both trays showed macarons with feet, they were in the small side and the shells were hollow. 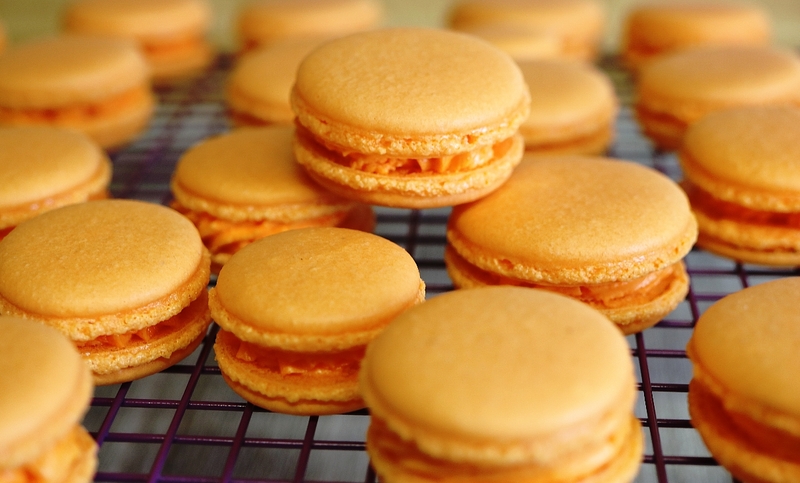 At first, the macs looked like they’d have smooth, glossy tops, but after they emerged from the oven they deflated a bit and had irregular shaped tops. 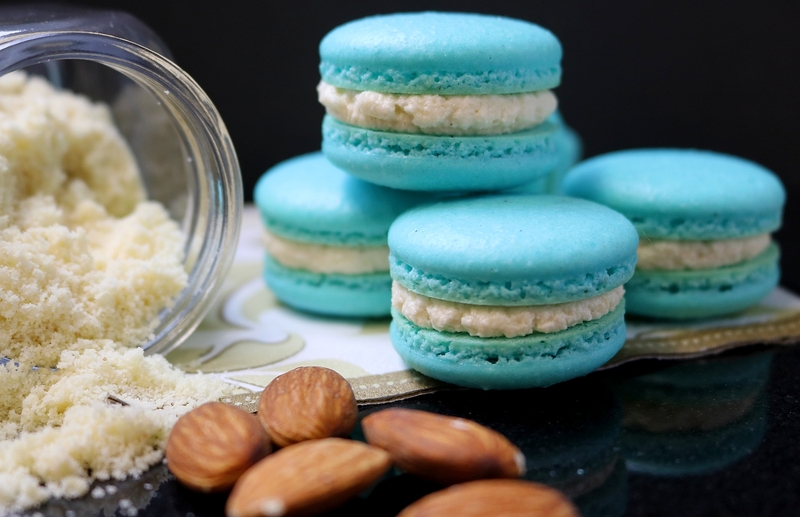 Unlike the first batch of chocolate macarons, the texture was lighter and airier – not like brownies or biscotti. The chocolate ganache filling was easy to make. I chopped up a Valrhona bar [71% cacao content] trying not to eat any of it. Note: next time I’ll try the Valrhona 46% feves! For 50 seconds, the heavy cream went into the microwave and when poured over the chunks the melting began. I whisked it for a few strokes and then added the room temperature butter and vanilla extract. Soon it was successfully mixed and sampled. Way better than the first batch. Nothing like using a high quality chocolate bar, heavy cream and imported butter! Yes, I could taste the difference between this and the previous batch made with chocolate chips. The richness was so apparent. Due to being underbaked, the shells stuck to the parchment and I used a spatula to remove them. Some of them were really cracked and messy looking but I managed to salvage them into sloppy and unphotographable macs. They tasted good when consumed that day. 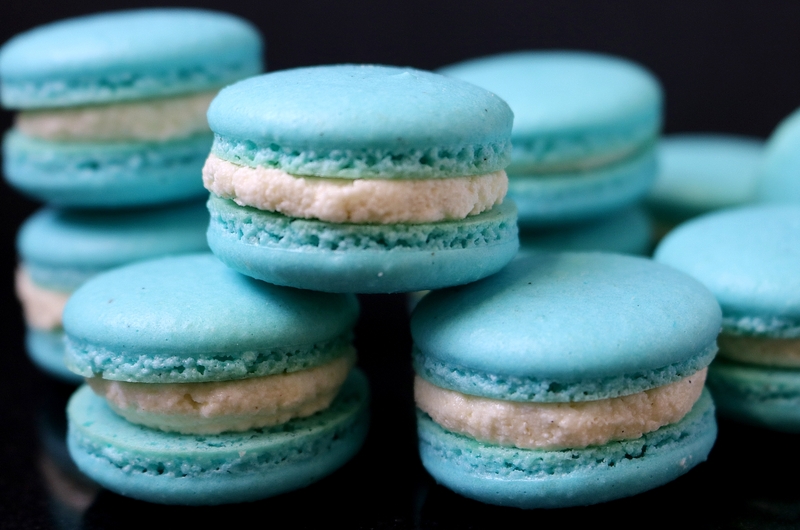 However, the next day and the day after that the macarons tasted much better. 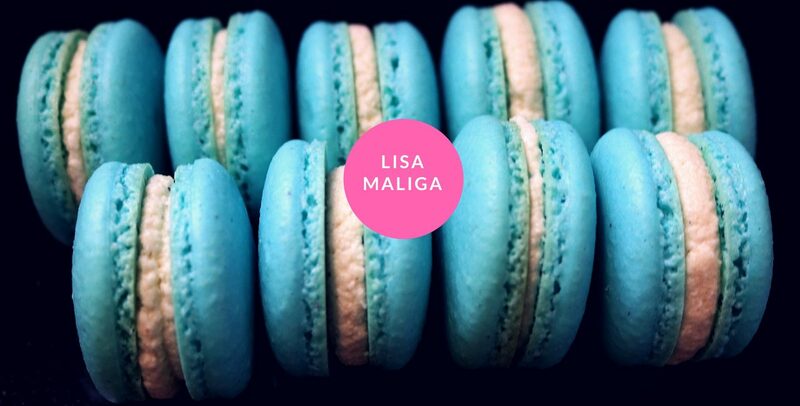 NEXT WEEK: More adventures as I bake scrumptious French Vanilla Bean Macarons. 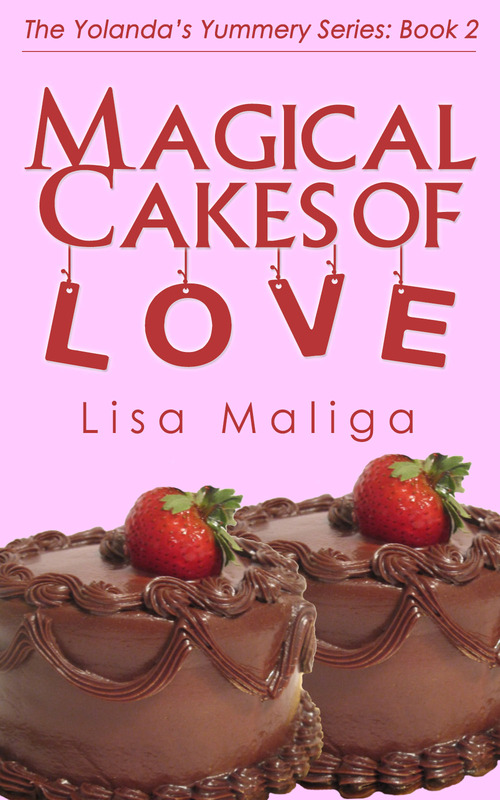 In Magical Cakes of Love, there is romance and mystery as one of Yolanda’s regular customers has gone missing. For those of you who’ve read The Great Brownie Taste-off [which is now FREE], you’ll know that Yolanda Carter always refers to her customers as appreciated guests. In the second book, appreciated guest Captain Angus, a homeless man who enjoys her brownies and cupcakes twice a day, mysteriously vanishes. As the story unfolds, the lead investigator thinks that either Yolanda or her best friend, Teagan Mishkin, might know more about the missing man’s whereabouts. Way more as they’re his suspects. With the successful launch of Yolanda’s Yummery in the trendy Los Angeles suburb of Brentwood, Yolanda Carter is on a roll. Her fame is starting to grow as news spreads about all her delicious desserts. An accompanying Beverage Bar will open in three weeks. She’s involved in a budding romance with sophisticated British tea baron, Nigel Garvey. Life is sweet. Complications arise when Captain Angus, a regular homeless customer, disappears…and Yolanda becomes a suspect. Someone is framing Yolanda for the crime. Lead investigator Detective Churchill is certain that she murdered the captain. Best friend Teagan Mishkin is also a suspect and wants to clear both their names. Will Yolanda’s relationships be derailed by the daily disasters she’s encountering? Can those Magical Cakes of Love save her and the yummery? This is a clean romance/cozy mystery, and not only was it fun to write, the cover was a joy to photograph. Yes, I had to go to the yummery to pick up one of those Decadent Chocolate Magical Cakes of Love and take almost 100 pictures of it. The day was warm and sunny with a high of 85 and even though I’m cold blooded I had to lower the temperature of the air conditioning unit from a comfortable 78 down to 70 degrees. It was difficult to avoid sampling the cake, and I thought about cutting a slice and putting it on some fine china but I did that after I finished taking and previewing the pictures. Suddenly a shorter woman with dyed black hair pulled into a stubby ponytail walked in, looking around. She wore a shapeless mauve sundress paired with black sneakers. “So this is the yummery,” Rosemary said. “Kinda on the small side…” She walked over to the display case and saw only three Magical Cakes of Love and barely a dozen brownies. “Did we come at a bad time?” Rosemary asked, her forehead wrinkling. Thirty minutes later and they were still in Yolanda’s office with the two cakes cut into several slices, and the chocolate cake had fewer of them. “Now I tried on 128 wedding dresses before I found the perfect one…” Rosemary commented, taking another bite of the chocolate cake slice on a paper plate. “It was a nightmare trying to get one in my petite size and style because I wanted the Sweetheart Serenade model. It’s ecru lace with puffed sleeves edged with rhinestones and pearls and a silk crinoline skirt with a detachable eighteen-foot lace train edged with pearls…oh you’d think I was looking for something unusual!” She sighed and rolled her big watery blue-gray eyes. Rosemary pulled out her iPhone and punched the screen a few times. “Here’s the winning dress…” She turned the phone’s screen so it faced Yolanda and a blurry shot of some off white creampuff meringue of a wedding dress was seen. “That looks nice,” Yolanda stated diplomatically, glad when the phone was removed from her line of vision. Magical Cakes of Love is available at Amazon and other online bookstores.